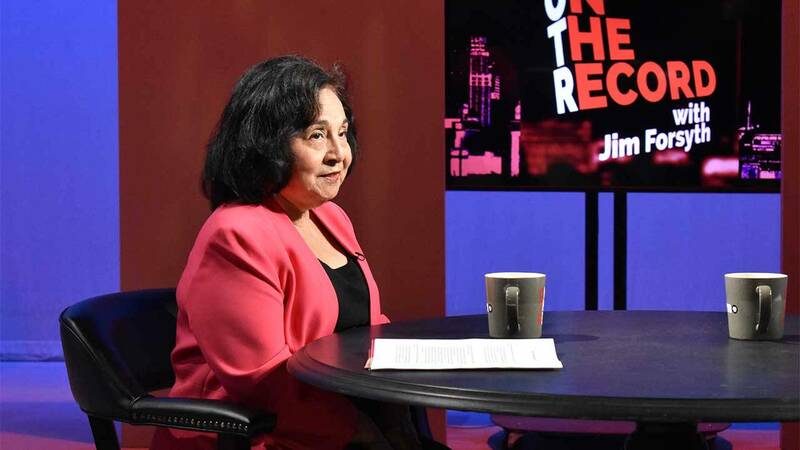 Texas League of Latin American Citizens (LULAC) Director Lupe Torres discusses the organization's lawsuit against the state following the release of "non-citizen" voting records. Iris Dimmick, senior reporter for the Rivard Report, talks about plans to convert Broadway Street into a multi-lane bike and pedestrian friendly road. Finally, Tony Queasada of the San Antonio Business Journal explains why San Antonio's new football team, the Commanders, may be successful. Watch the full episode on Thursday at 7 p.m.
View past episodes by clicking here.